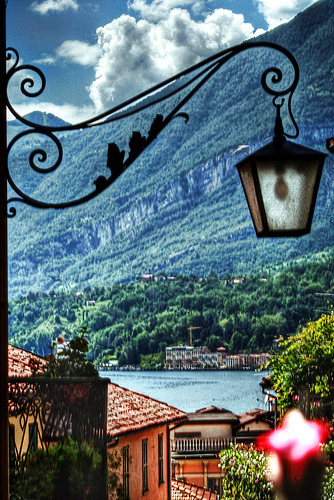 Lombardia (Lombardy) is in northern Italy and is one of the country’s largest and wealthiest regions. Milano (Milan), the capital, is the largest city in Lombardia and is the Italian centre for fashion, design, banking and publishing. Lombardia is a rich, industrial, region and accounts for 25% of the nation’s GDP and 10% of its wealth. 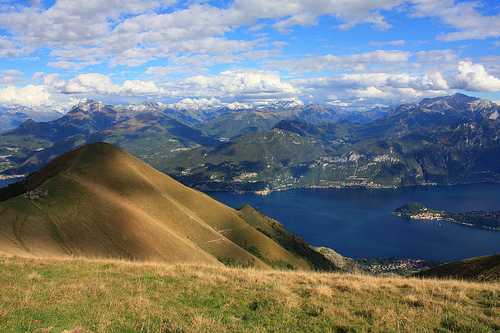 Geographically, Lombardia is landlocked and borders Piemonte (Piedmont) to the west, Switzerland to the north, Trentino-Alto Adige and Veneto to the east, and Emilia-Romagna to the south. The Alps run along its northern borders. Lombardia is strong in agriculture: much of the region stretches east-west along the wide, fertile valley of the Po, Italy’s largest and most important river. 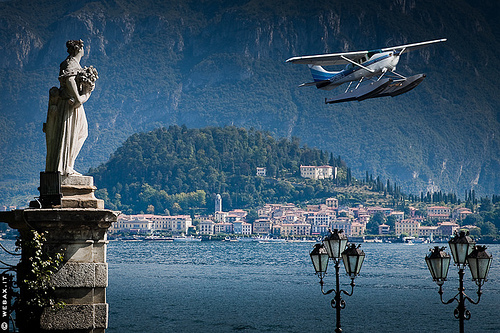 Lombardia’s magnificent lakes – Maggiore, Como and Garda – are world famous and give access to Alpine passes that historically connected Lombardia to northern countries and their markets. 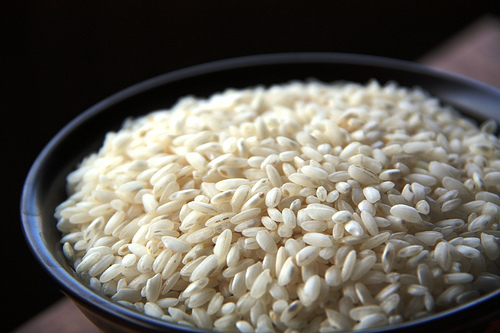 Its major food products are: dairy farming and processing, and rice. There are steel, chemical, and engineering industries in Brescia, textile and engineering works in Bergamo, silk and furniture making in Brianza, petrochemicals and plastics in Mantova and important universities in Milano and Pavia. Milano is considered the economic centre of Italy. 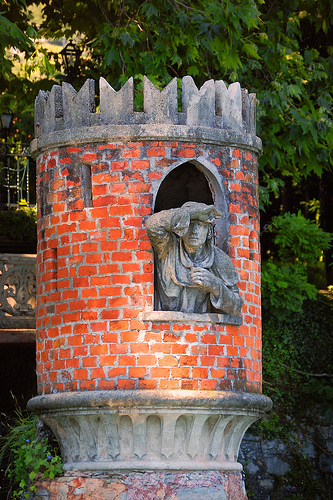 Lombardia also has a long artistic history. 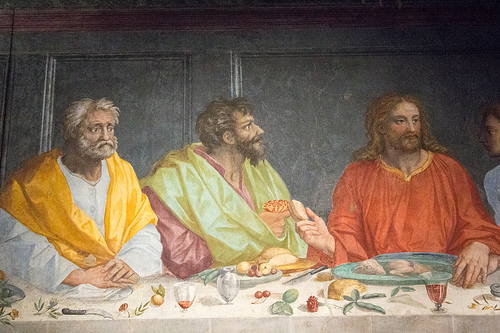 Leonardo da Vinci lived in Milano and painted many masterpieces there, including The Last Supper (or Cenacolo, as it is called in Italian). It can be visited by appointment. 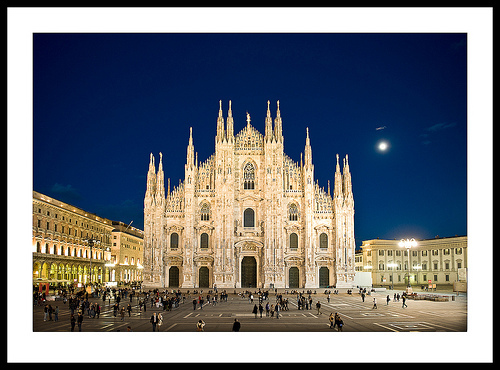 Milano is known for its luxury shopping in the Quadrilatero della Moda (a shopping district bordered by Via Montenapoleone and Via della Spiga), high-end restaurants, monuments and artworks. See the Pinacoteca di Brera and the Castello Sforzesco art museums, go to the opera at the Teatro alla Scala, and admire the view over the city from the roof of the Duomo, one of the greatest Gothic cathedrals in the world. With hot, humid summers and cold, foggy winters, it’s best to visit Milano in spring or autumn. 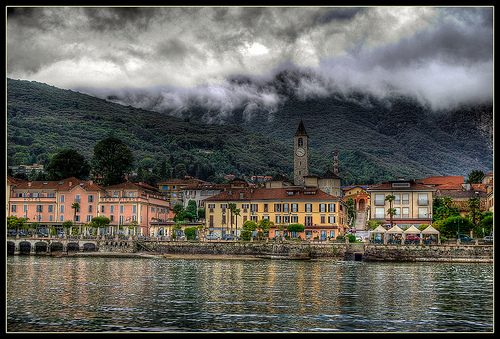 The lake district (Lago Maggiore (Lake Maggiore) and Lago di Como (Lake Como)) is set in the foothills of the Alps. The large bodies of water create a unique microclimate with almost Mediterranean vegetation along the shores, and some of the country’s most beautiful villas and scenery. 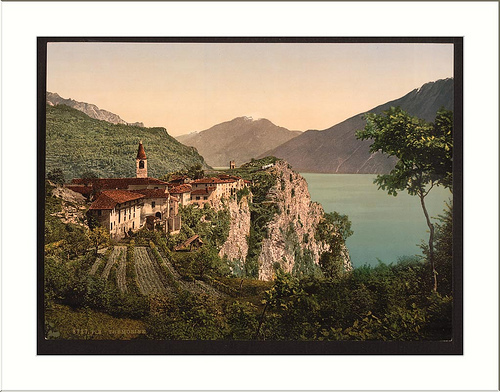 As a result, olive trees can be cultivated for their oil along the shores of Lago di Garda (Lake Garda), much farther north than any other areas. Ferry boats run between the small lakeside towns and islands. 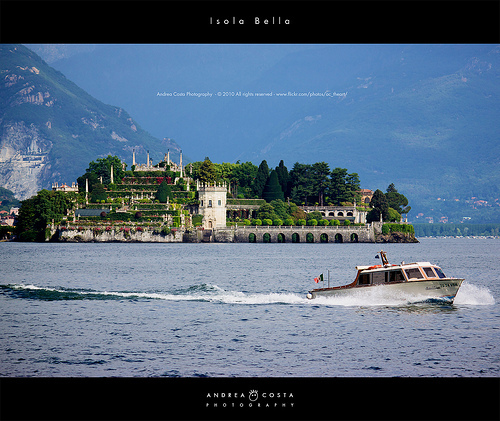 On Lago Maggiore, don’t miss Stresa (you can take a boat from there to the beautiful Isole Borromee (Borromean Islands), particularly the palace on Isola Bella), Pallanza and Arona –all are located in neighbouring Piemonte. 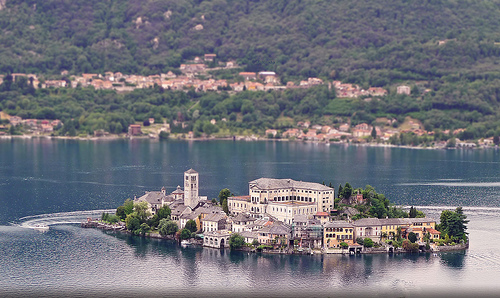 On Lago di Como, visit Bellagio. On Lago di Garda, see Desenzano, Sirmione and Salò. 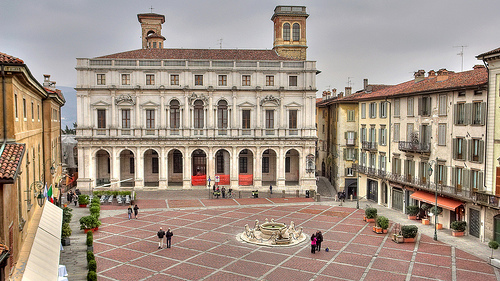 There are many wonderful towns in Lombardia to visit for their architecture and history. 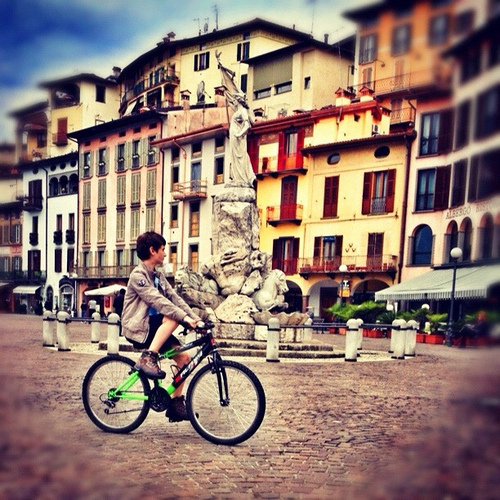 Bergamo Alta offers wonderful views over the plains from its noble palazzi (palaces). 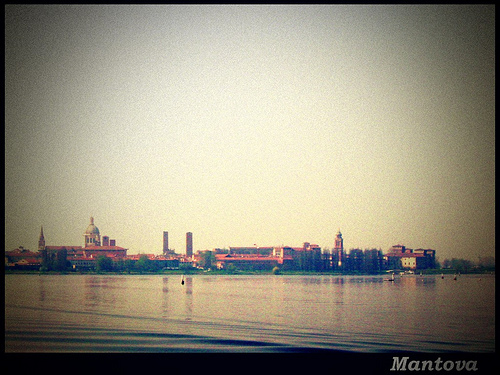 Mantova was home to the mighty Gonzaga family and to Isabelle d’Este. 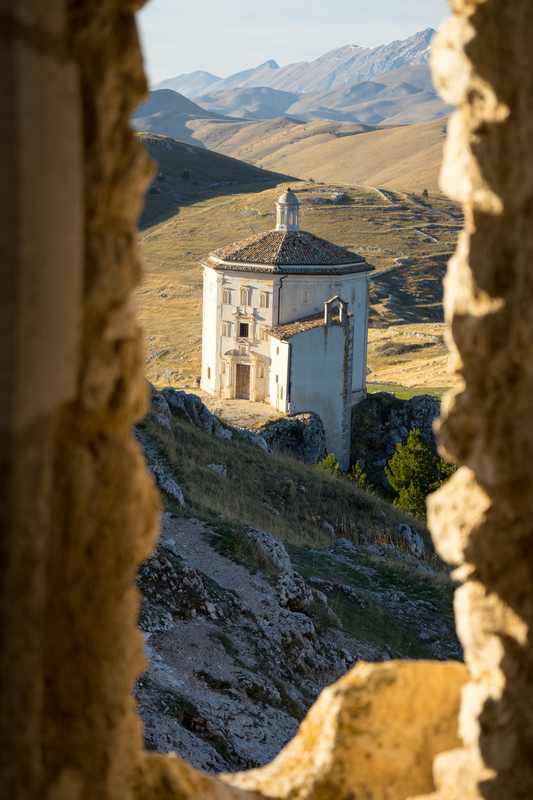 It is a cultural centre and UNESCO World Patrimony site, along with nearby Sabbioneta. Cremona’s Duomo and the clock of the Torrazzo (bell tower) are worth a visit. 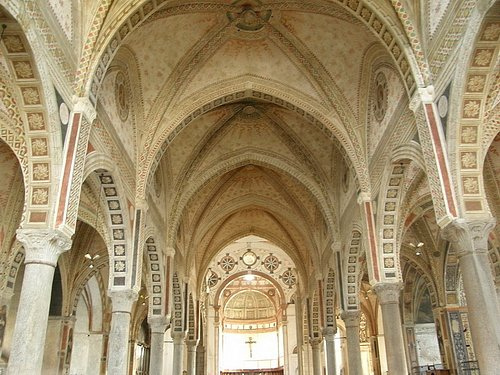 Pavia’s Certosa monastery, built in the 14th and 15th centuries, is also impressive. Other villages worth visiting are Castellaro Lagusello (a fortified village, known for its salami, overlooking a lake), Monte Isola (known as the “Capri of the north”, it can only be reached by boat and is known for olive oil and salami production), San Benedetto Po (a village with a monastery which is known for breads and pastries), Tremezzo (a lakeside stone village known for its exotic gardens and historic 18th century villas; the village produces missoltino (preserved agone / freshwater sardines)), and Tremosine (a clifftop town overlooking Lago di Garda which produces formaggella di Tremosine cheese). 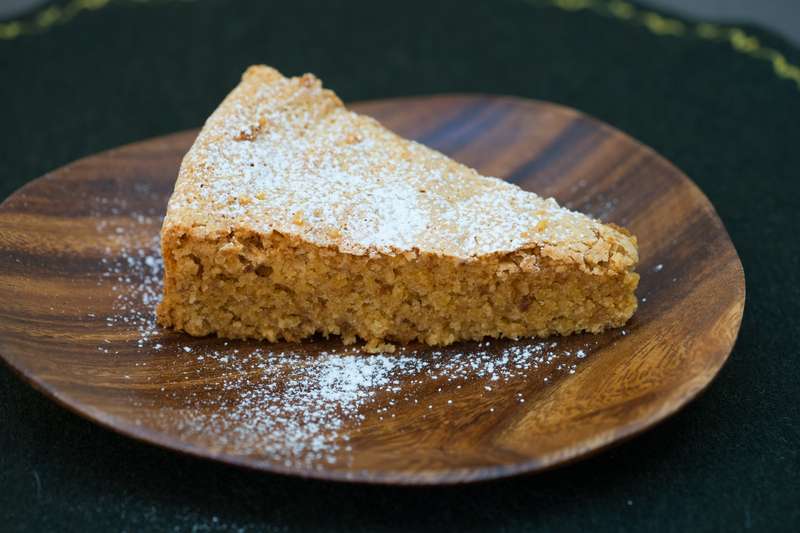 Things to bring home include bresaola, cheese, panettone, Amaretti di Saronno (almond cookies), mostarda (mustard), torrone (honey nougat with almonds), Alessi products, kitchenware from Medagliani, silverware from Sabattini Argenteria, tableware, and designer clothes, shoes, and bags. 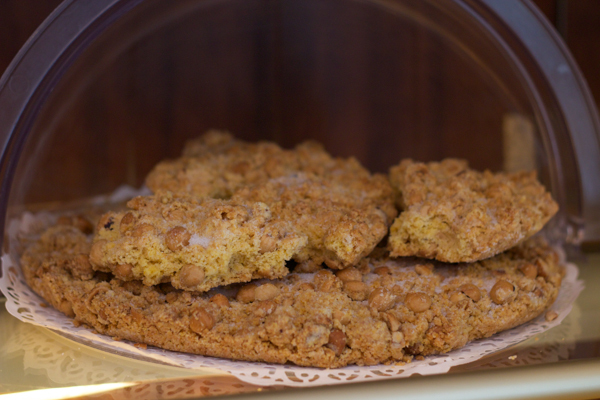 A traditional pastry shop and bar with beautiful cakes and chocolates. 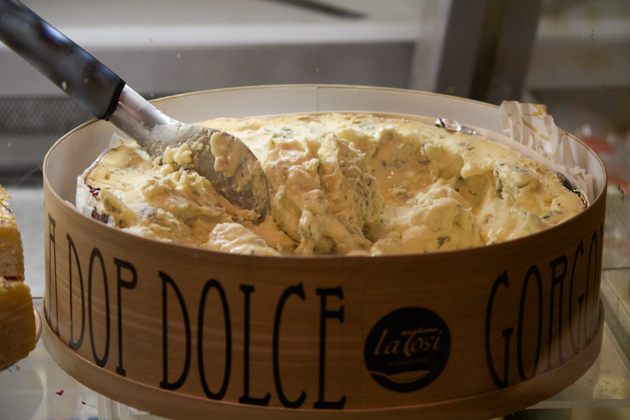 A great place to try panettone. 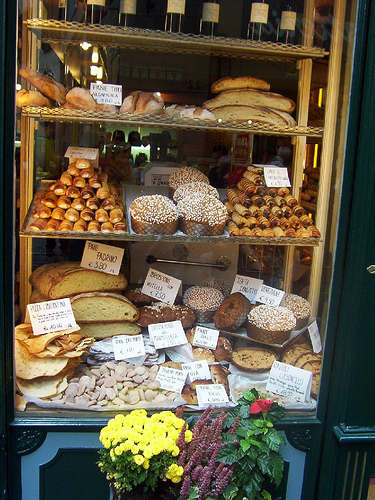 One of the world’s greatest food shops, with meat, fish, vegetables, cheese, salami, wines, pasta, cakes, candies…everything edible! Some items may be shipped to China via their website-order online. A huge kitchen and housewares supply store with handmade pots, spoons, knives, pans, roasters, appliances, etc. My favourite household design brand. 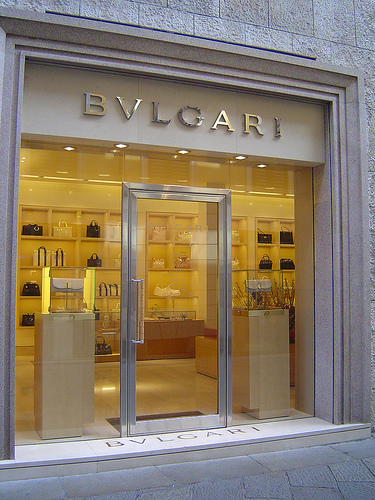 Milan has the flagship store but there are outlets in Hong Kong, Dalian, and Beijing. 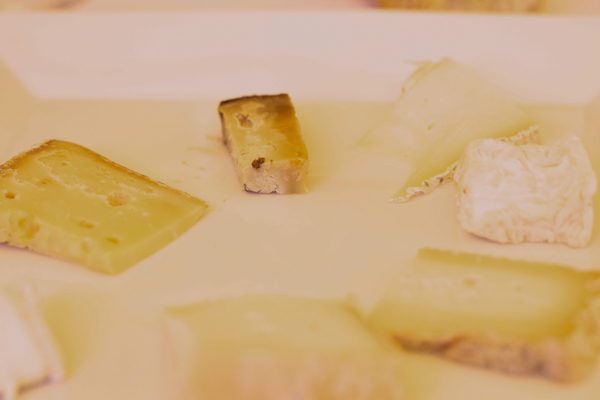 Unlike other regions, there is no single iconic ingredient which makes one think of Lombardia, although cheeses and rice are mainstays of local production. 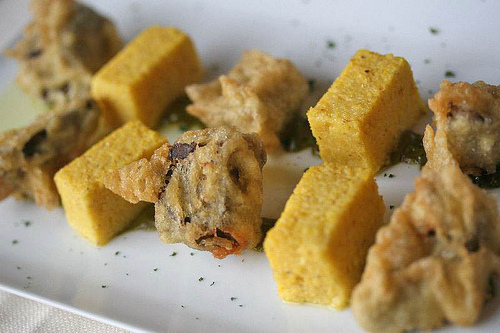 In general, risotto and polenta are as popular here as pasta, and butter is used more often than olive oil in cooking. 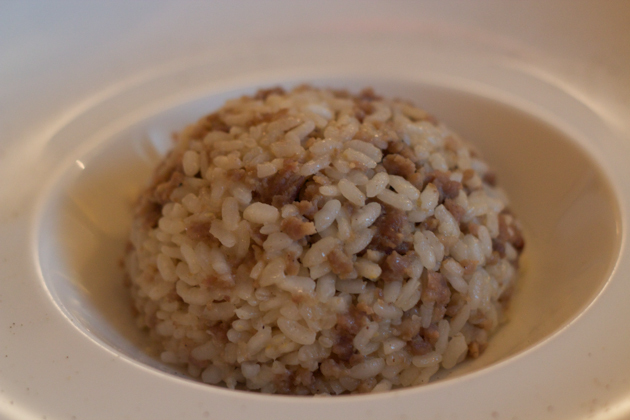 Carnaroli and Vialone Nano rice are popular in Lombardia. 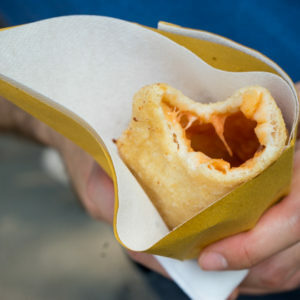 Lombardians are great lovers of dairy foods and often finish their meals with cheese and they also are partial to cream. 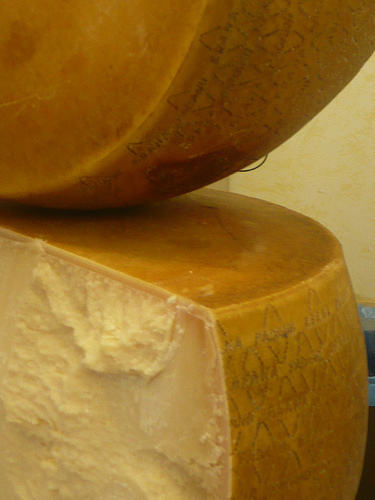 Cheese-making is an important industry along the Po valley and throughout the region, with cheeses such as Grana Padano DOP, Gorgonzola DOP, Bitto DOP, Taleggio DOP being produced here, to name but a few. As for meat products, Bresaola della Valtellina IGP is made from beef in the mountainous area to the region’s north. As in every other Italian region, pork salumi are always popular and are made into hams and sausages throughout the area: Salame Milano is made with a mix of pork and beef. 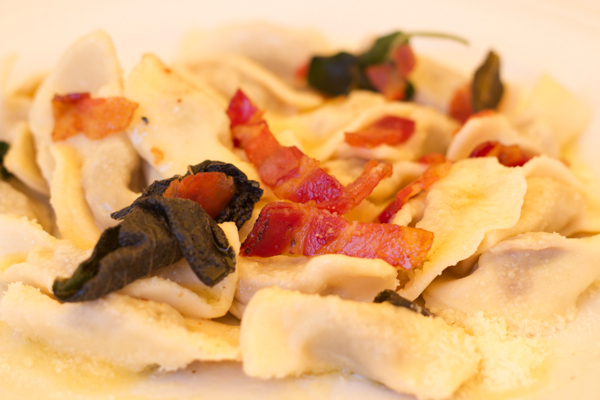 Pasta here tends to be fresh, egg, pasta and is often stuffed with meat, cheese or spinach. 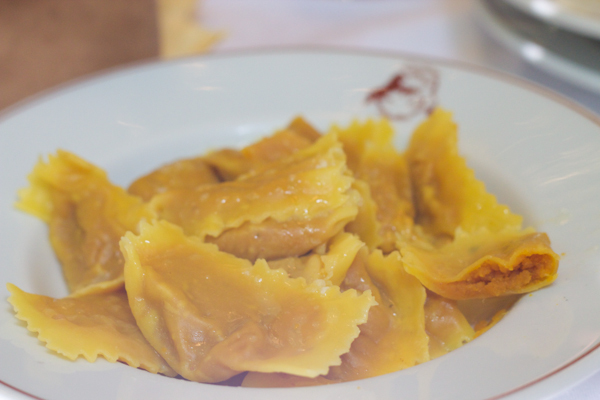 Mantova’s famous tortelli di zucca are filled with a mix of pumpkin, spices and crushed amaretti (almond cookies). 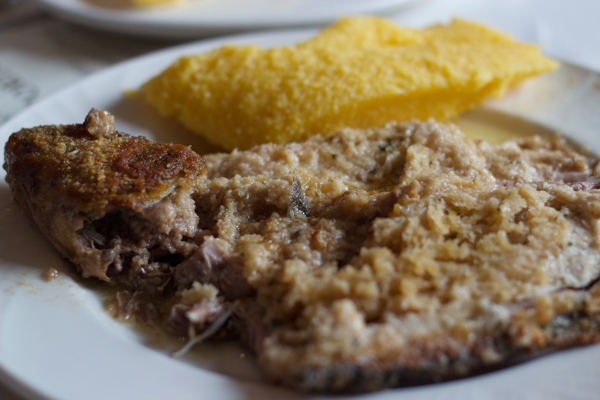 Polenta is made from local ground maize (mais) or buckwheat (grano saraceno). 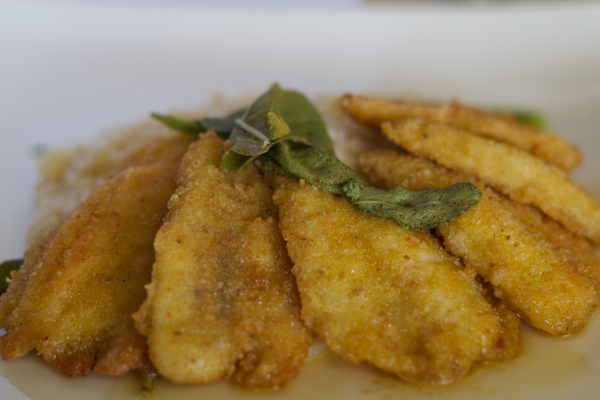 Freshwater fish from the lakes are increasingly farmed and served broiled, marinated, or fried in breadcrumbs. Other classic ingredients here are pork, pumpkin, frogs, game birds, goose, fresh water fish (chub, sturgeon, trout, bleak, catfish, salmon, eel, whitefish, perch, shad, tench, pike, and grayling), mostarda , honey, olive oil, cheeses, salami, grains (corn, buckwheat, and rice), apples, pears, quinces, asparagus, yellow onions, cabbage, black and white truffles. 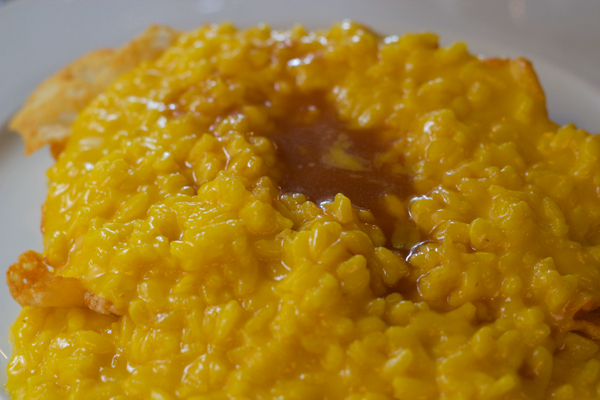 No single dish is considered quintessentially Lombardian fare, except perhaps risotto alla milanese (risotto with saffron), but that is most popular in Milano itself. 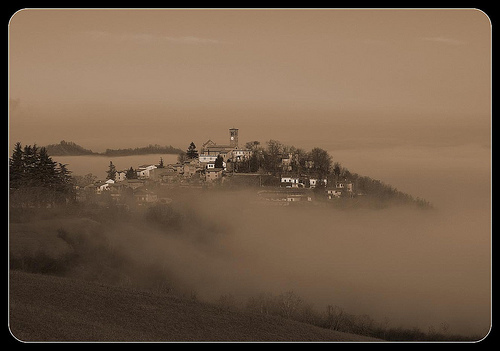 The area’s infamous autumn and winter fogs kept each town to itself and there is a custom in Lombardia for each town and village to cook its own particular version of classic recipes. 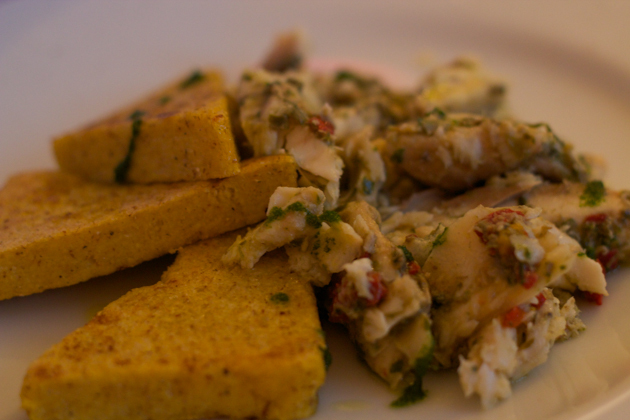 Having said that, the region is of course not without its special dishes. 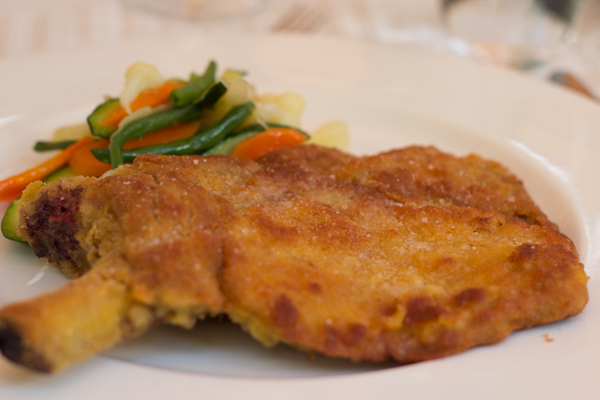 Risotto is produced in many forms; the costoletta alla milanese is a pan-fried breaded veal chop that is popular throughout Italy (it’s often served with a wedge of lemon on top); ossobuco is another classic winter meat dish made from sliced beef shanks and served with its bone marrow – it can be paired with risotto; cassoeula is a winter stew of mixed meats and cabbage; potato gnocchi are also Lombardian favourites, served with melted cheese or truffles. 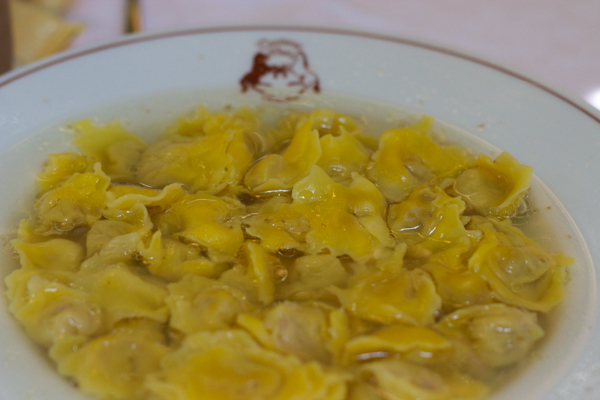 See Lombardian recipes here. 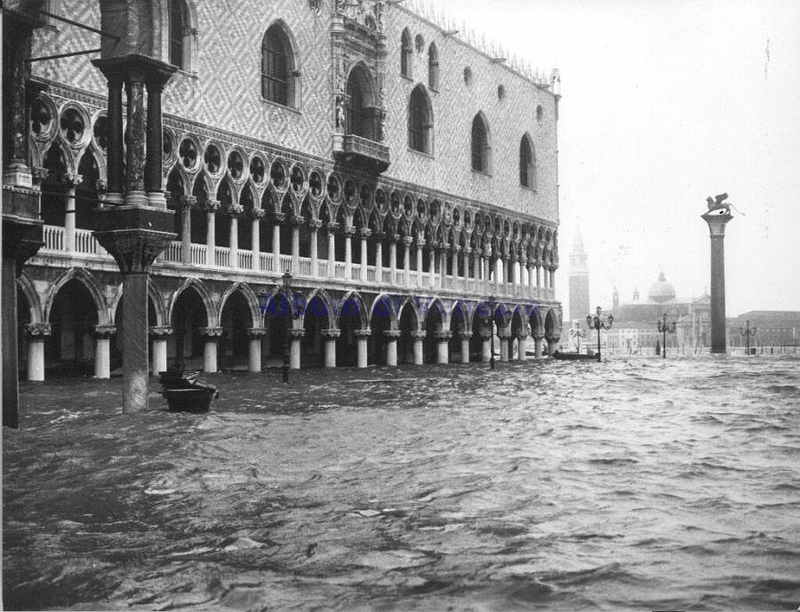 Lombardians are said to be impatient diners as they have little time off work for lunch. However they do like to take time for an evening aperitivo before dinner. Milano’s bars are famous for their generous and artistic displays of nibbles – from chunks of Parmigiano-Reggiano cheese to raw vegetables, sliced salami and little crostini – to accompany a glass of sparkling Prosecco or Franciacorta – both produced within the region. 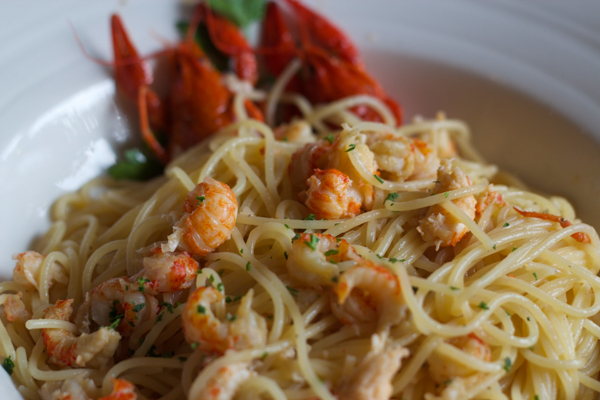 Many bars in the region also serve quick and inexpensive lunch dishes, from a wide selection of panini (grilled sandwiches) to single dishes of pasta or salads. 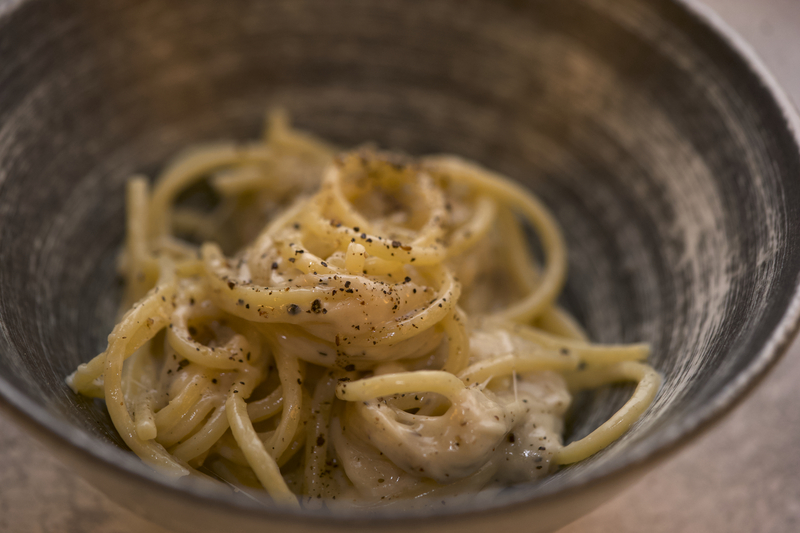 Soups and warming pastas are popular in cold weather, just as cooling salads are in summer; when there’s time, a full cheese course can run the range from delicate, freshly made crescenza to the piquant blue notes of an aged Gorgonzola DOP. 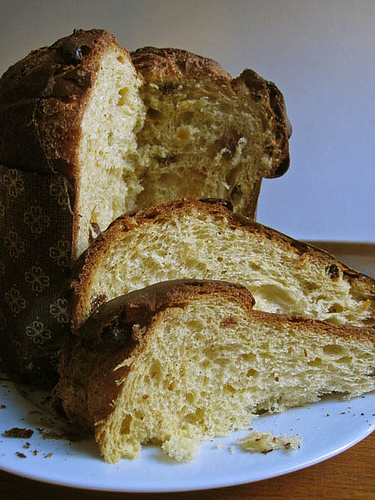 The area’s most famous dessert is panettone, a high, domed sweet yeast bread that is studded with raisins and candied peel. 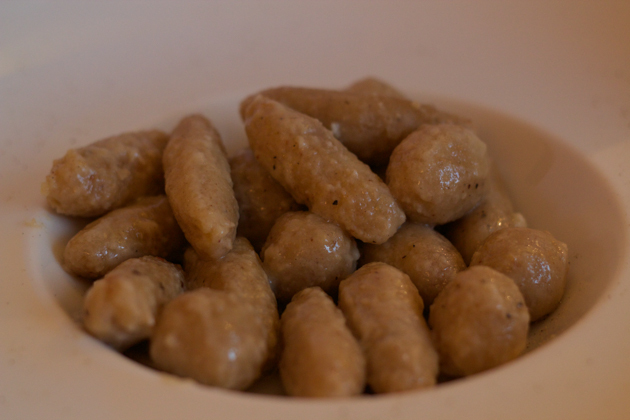 It is served around Christmas and has become popular throughout the world. Traditional dishes I recommend include bresaola (air-dried beef); agnolini (fresh stuffed pasta); asparagi alla milanese (asparagus topped with a fried egg and Parmigiano-Reggiano cheese); minestrone alla milanese (soup with green vegetables, rice, and bacon); pizzoccheri (buckwheat noodles with cabbage and cheese); Grana Padano, crescenza and taleggio cheeses; torrone (nougat); torta di tagliatelle (a pasta cake with almonds and cocoa); and torta sbrisolona (a flat, crumbly cake made with cornmeal and hazelnuts). See recipes here. 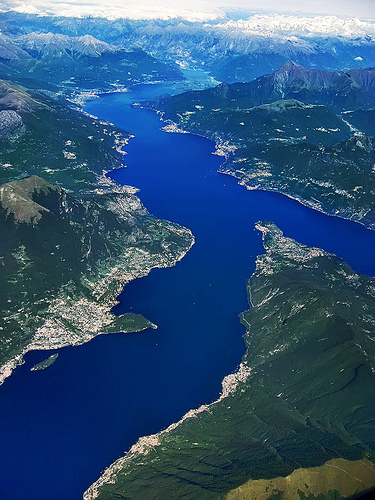 The wine to drink from this region is sparkling Franciacorta, Italy’s answer to France’s champagne. 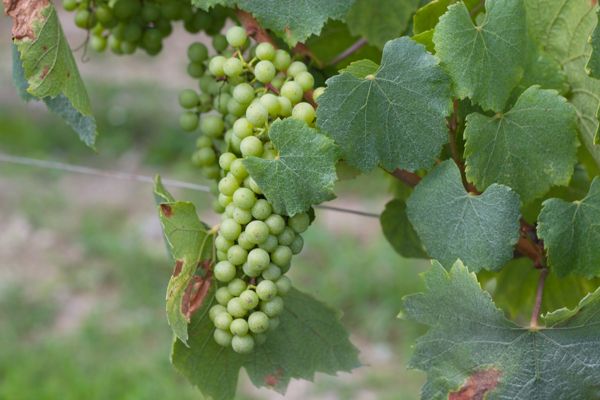 Fine Franciacorta will be labelled riserva or vintage. 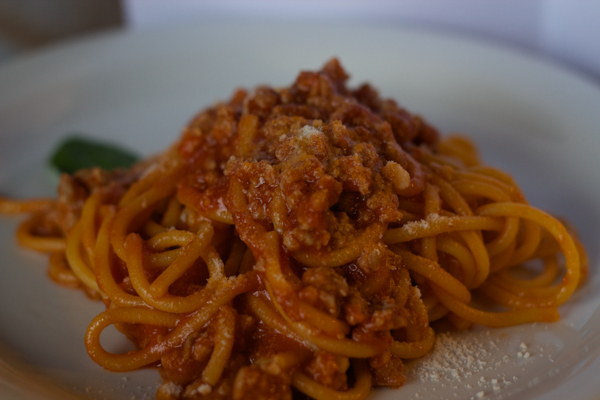 Buy from producers such as Barone Pizzini, Bellavista, Ca’ del Bosco, Fratelli Berlucchi, La Montina, Il Mosnel, and Ronco Calino. 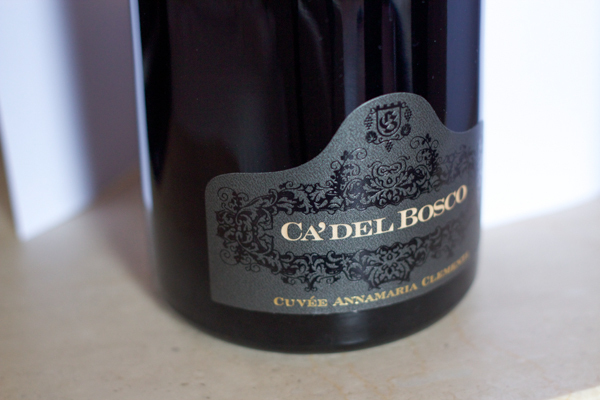 My favourites are Ca’ del Bosco and Il Mosnel. Some nice red wines are produced in Lombardia in Valtellina Superiore DOCG and Oltrepo Pavese DOC. Look for producers such as Ar Pe Pe, Sandro Fay, Nino Negri, and Triacca. 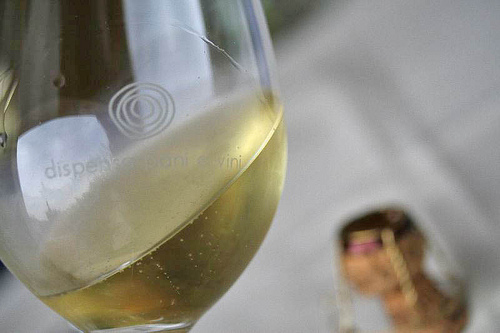 There is also a sweet wine made in Valtellina called Sforzato di Valtellina DOCG. 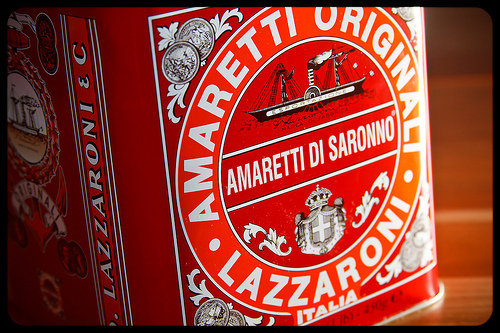 Many of the salumi are named after their place of origin and have been made since ancient times.